A sermon preached by Christopher L. Webber on Trinity Sunday, June 3, 2012, at St. Paul’s Church, Bantam, Connecticut. 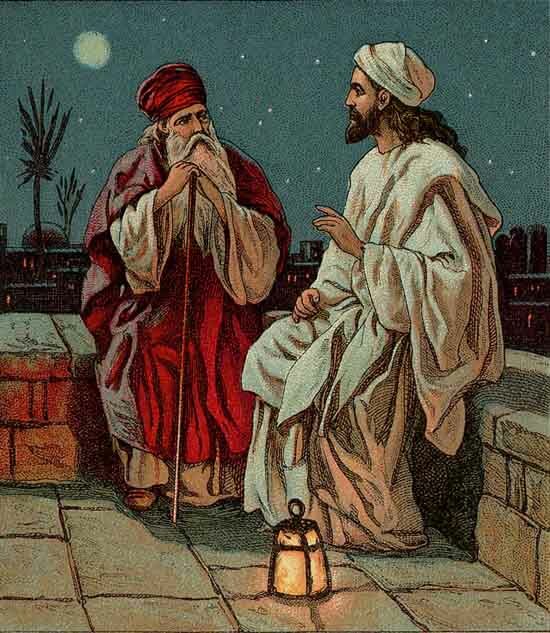 Preachers usually tell you to be like Jesus but how about Nicodemus as a role model? I like his attitude. Here’s a man who’s willing to admit he doesn’t have all the answers. Of course, he only admits it after dark when the neighbors can’t see, but leader or not, and in the dark or not, he is willing to ask questions and admit there are things he doesn’t understand. There should be more people like Nicodemus. This is Trinity Sunday and anyone who tells you that they can explain the Trinity is not to be trusted. The Trinity, by definition, can’t be explained. When we say that God is three in one and one in three, we are not providing a mathematical explanation of God; we are saying only that God is beyond explanation. Now, if you are into mathematical explanations, three in one is a better explanation than four in one or only one or any of the numerical alternatives. Jews and Muslims and Christians can all agree that God is one but if stop there we not only haven’t gotten very far but we said something so incomplete it’s hardly helpful at all. I mean, if God is one, that’s like me and while I am like God in some sense, made in God’s image after all, the same as you and everyone else, it’s not a lot of help. It gives us an idea of God as being simple and logical. “One” is simple and logical but God is neither simple nor logical. Read the Book of Job if you think God is simple and logical. So, yes, God is one, but to say that and stop there is worse than useless. It’s maybe like saying St. Paul’s is made out of wood. Sure it’s wood, but so is a tree and a telephone pole and a wooden nickel. But you also are the church and are you made of wood? There’s more to the church than wood or stone and more to God than One. 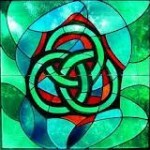 I want to say just two things about the Trinity today: it is not simple but it is practical. The Trinity is not simple. Why is it, I wonder, that human beings always want a simple explanation? As far as I can see, even when you find a simple explanation it’s only because we left a lot out. For example, if you want to know why the world is such a mess the simple explanation is stupidity and greed, but then you have to ask why in a world with such enormous knowledge available people still do stupid things. The government, for example, spends zillions of dollars to gather information and still does stupid things. And changing that is not simple. Everywhere we find in the real world . . . systems, families, complexes; nowhere sheer, mere unity or units. God himself . . . is a Trinity of Persons, Christ is a Duality of Natures, the Humanity of Christ and of all men is a Trinity of Powers. Our bodies are wondrous organisms, our minds are still more wonderfully organic; and the two together form an organization of an even more marvelous unity in multiplicity. And yet it is not even such a single [person] who is the true, fundamental social unit, but the family in which the father, mother, and child are each sui generis and essential, as non-interchangeable parts of this rich organism. Thus from a lichen or seaweed up to God Himself – the unspeakable Richness . . . – we find ever increasingly rich, organized unities. Unity is always complex. That’s the point. “Unity is always complex.” And all the language we use to give our minds some sort of handle on this complex unity can never do anything more than put it in human terms which can never possibly begin to be adequate to provide exact and complete knowledge of God. Three in one and one on three? Well, if you think God can be reduced to a mathematical formula that’s as good a formula as any – but that’s not saying much, because God can’t be reduced to a formula or any form of words. The Nicene Creed is the best short formula that human minds can produce but the day we begin to think it tells us everything we need to know about God is the day we will have forgotten how ignorant we really are. The Trinity is not simple. Point One. But it is practical. Point Two. We really need to know that God is Triune Unity because, first of all, it reminds us that we don’t have all the answers. It reminds us of the need for humility. It reminds is of the need to listen. The best theologians, for my money, are the mystics – those who come to know God not in words but in prayer, not in language, but in worship. Worship, among other things, is practical. It gives us a way to respond to mystery. Have you ever noticed the Athenasian Creed in the small print at the back of the Prayer Book? Here’s how it begins: “Now the Catholic faith is this, that we worship . . .” The Athenasian Creed goes on for two pages saying what God is not: not created, not comprehensible. And even the words that seem to be positive are really not. “Eternal,” for example, is something we can only explain negatively: its what is not mortal, not limited. Whatever words the theologians offer us, it comes down to this: “God is also not this.” So for all the two pages of theological language the Athenasian Creed offers us, the first nine words tell us all we need to know: The Catholic faith is this: that we worship. The best theologians are the ones who lead us to offer ourselves to God in worship. And worship, real worship, is not heavy on words. A sermon and a few prayers is not worship, not adequate worship. The best worship, like the best theology, involves heavy doses of silence. 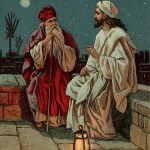 The Talmud says, “A word is worth one coin; silence is worth two.” And probably that’s why St. Ignatius once wrote, “The more I see a bishop keeping silent, the greater should be the reverence I have for him.” Trinity Sunday is perhaps the one time all year when we are forcefully reminded of how little we know and the absolute priority of worship. This is, never forget it, what Anglicanism is all about: unity through worship, a prayer book, not a sermon. It’s interesting to notice that as the Church has become increasingly involved in controversy in recent years – the new Prayer Book, the ordination of women, abortion, homosexuality, and so on, the General Convention has become more and more centered in worship. When I first went to a General Convention some twenty-five or thirty years ago, there was a Eucharist every morning at 7 a.m. and some people went and then there was breakfast and then the morning session began. Now every morning session begins with eucharist and Bible study. And if that’s not enough to overcome division, nothing can. The alternative we are offered is a Theological Statement and revised international structure for the Anglican Communion and that won’t work. Words will not do it if worship won’t. Finally it comes down to a willingness to turn to God in silent, humble trust. If God wills our unity, that will suffice. If not, not, and we will have to stumble on as best we can and as the church has often done before until what the Prayer Book calls “pride and arrogance and every evil way” has it’s day and, inevitably, destroys itself and leaves the church free to pick up the pieces and go on. Trinity Sunday reminds us of our littleness and our dependence on God. It calls us back to awe and wonder and humility and worship. It reminds us that we are – as God is – a diverse multiplicity in unity, that we are in God and God is in us and that this unknowable God is revealed in the simple complexity of daily life: the meeting of friends, the sharing of a meal, a quiet conversation, the ever-changing colors of the hills and the flow of the river, the clouds, the rain, the sun, in and through which we know what can never be known and find new strength and life and joy in that inexpressible wonder.